In 2015 he released his debut album, Pieces of Your Past. Produced by Dave Draves (Kathleen Edwards, Julie Doiron), the album was recorded live in a single day. The live recording setting allowed for more feeling, and character to shine through Laurent’s accomplished songwriting. Songs from the album have been regularly featured on CBC radio, college radio as well as various television programs on MTV and the E! Network. 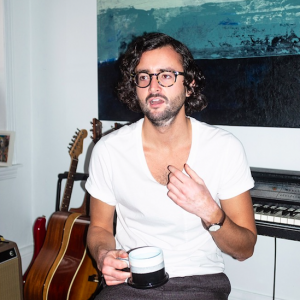 Since its release Laurent has frequently toured Canada, The United States and Europe, sharing the stage with great artists such as Teddy Geiger, Dan Mangan and Andrew Bird.He was also awarded the “Stingray Rising Star” award after its release. Laurent is currently in the studio working on his new album with producer Dan Ledwell (Jenn Grant, Fortunate Ones) which will be released in September of this year.